This is the most exquisitely written book, beautiful prose, wonderfully evocative, I would give it 10 stars if I could. I have taken my time reading this, savouring each and every paragraph. 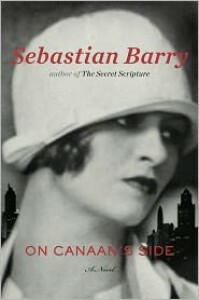 I have really enjoyed his plays, but this is the first novel by Sebastian Barry that I have read, and I am looking forward to reading more. I was not sure if I was going to like this novel when I read the synopsis, but it has surpassed my expectations, it is just wonderful.